The band was formed at the turn of 91/92 when the first show in Opole was played under the name POGRZEBACZ (THE POKER) Line-up for that time was: Mutek - drums, Walec - guitar, Chudy - bass. For all the years the line-up was changing several times, where bass players were changing most often (according to Mutek's words). 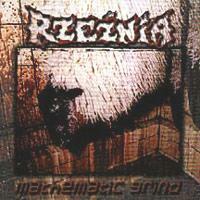 From the beginning RZEZNIA was playing mix of crust punk grind and noise. As the time was passing by their music was becoming more brutal and finally they focused completely on playing grindcore. Musicians of other groups have come through the band for all these years, inter alia: S.O. War, Pignation, Selfhate, Mothra, Spasi Sohrani.